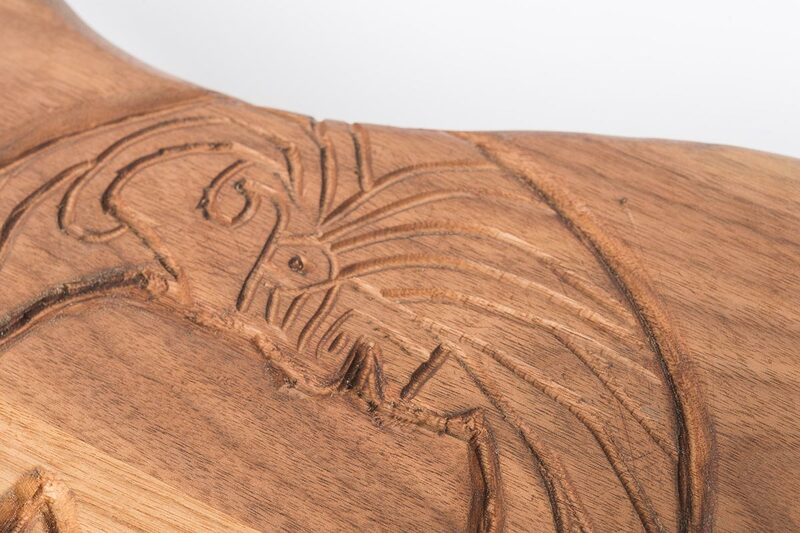 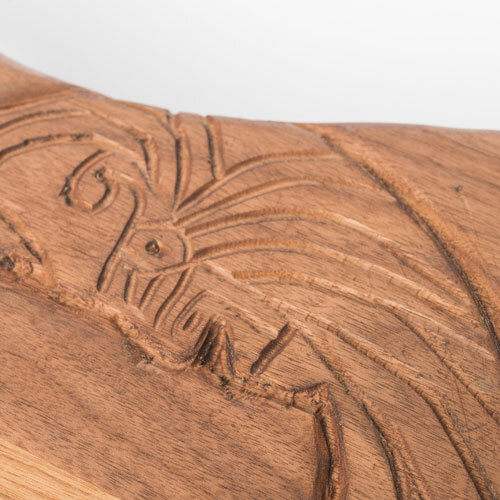 With an Aztec-esque inspired design, this carving honors our sun and moon, our day and night. 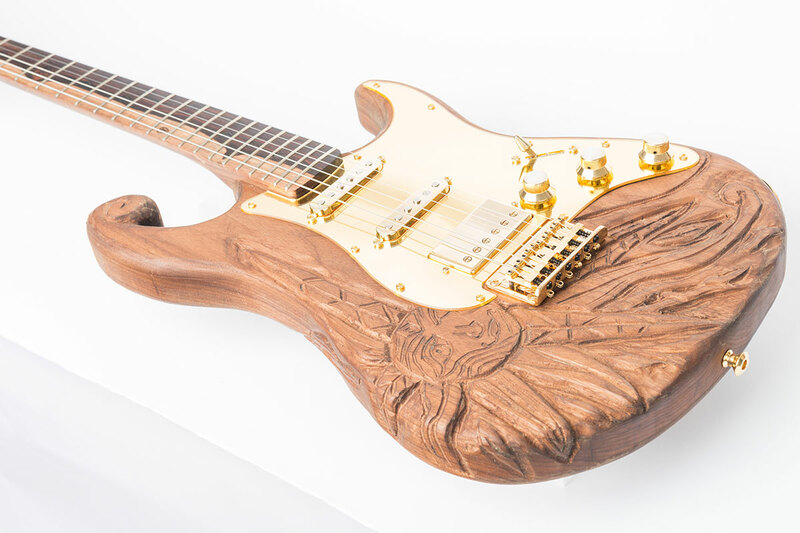 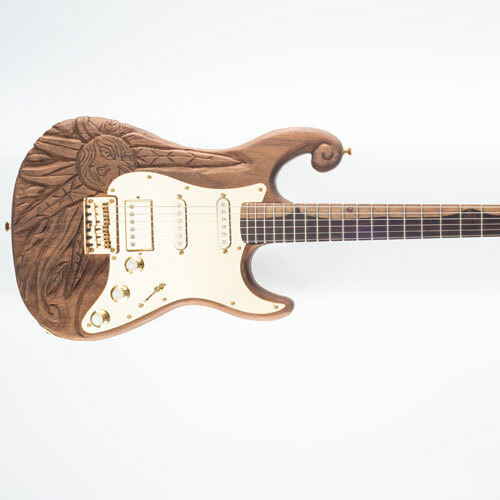 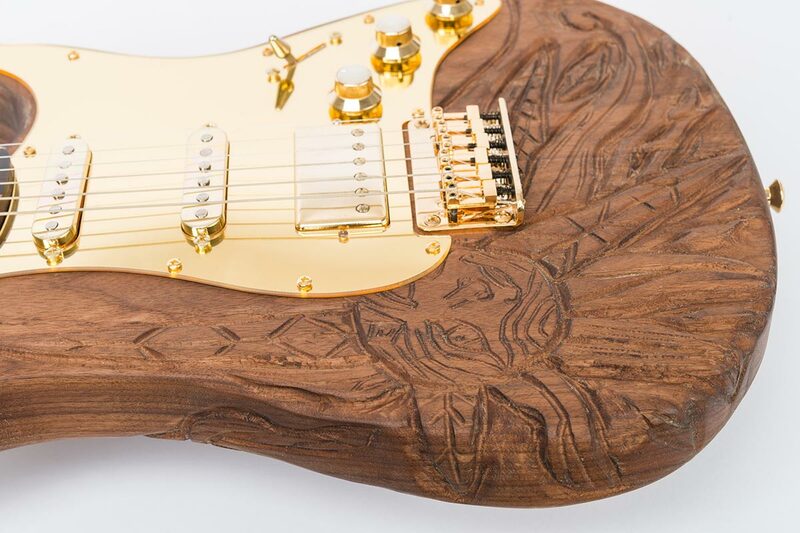 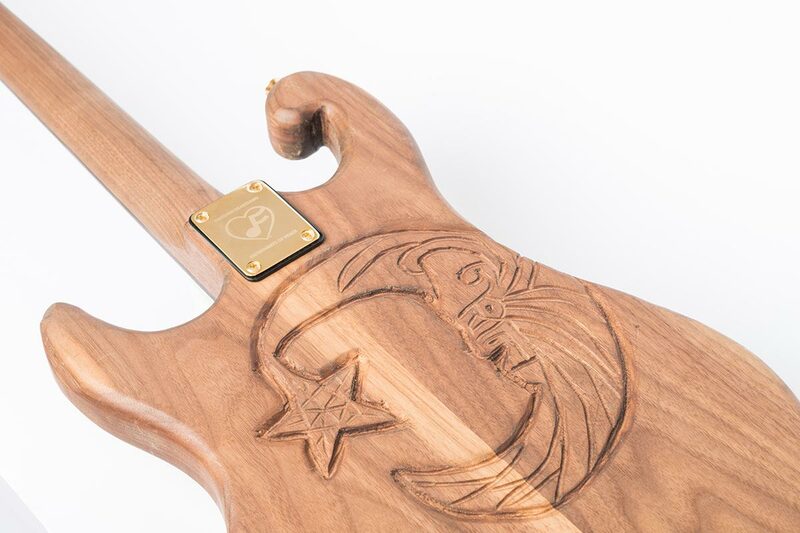 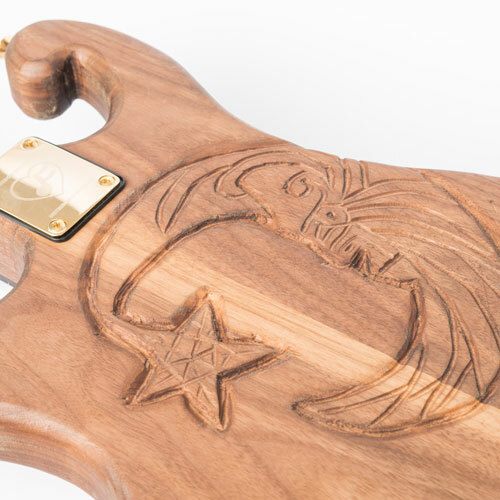 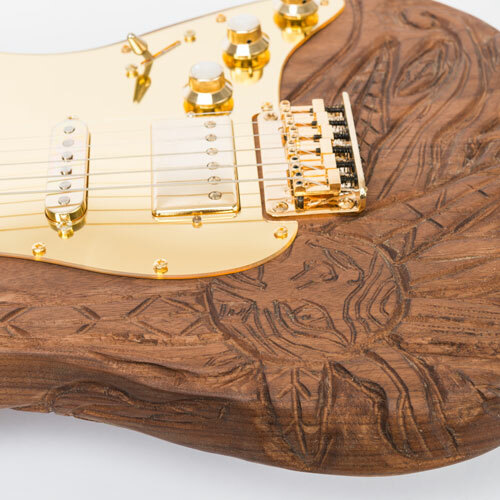 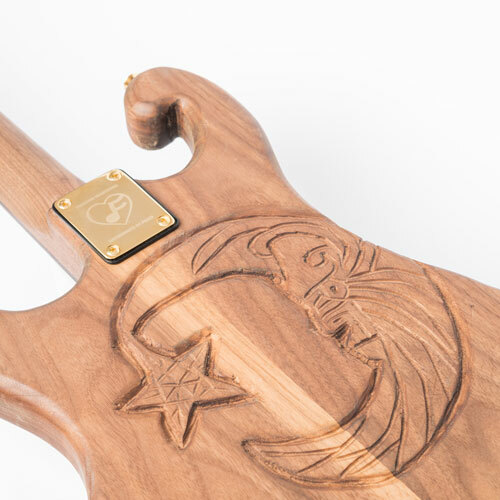 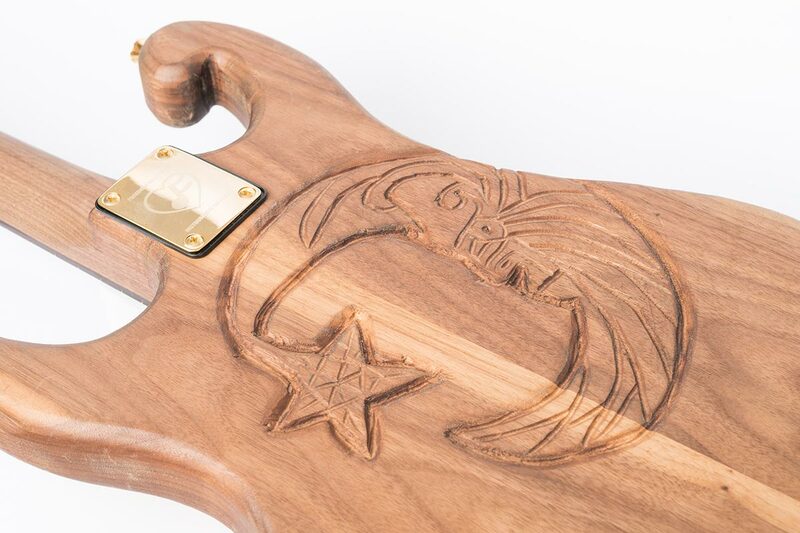 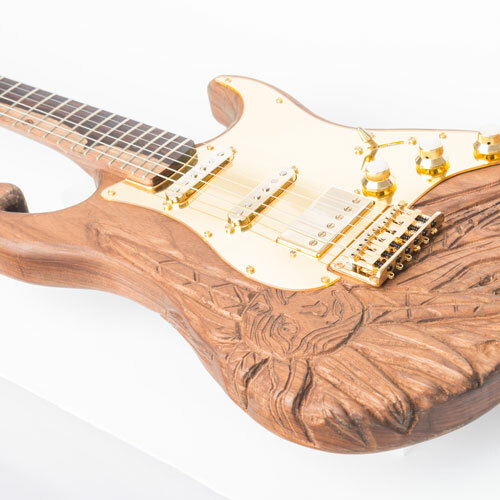 The swirling and crystalline artwork wraps around the entire body of the striking guitar. 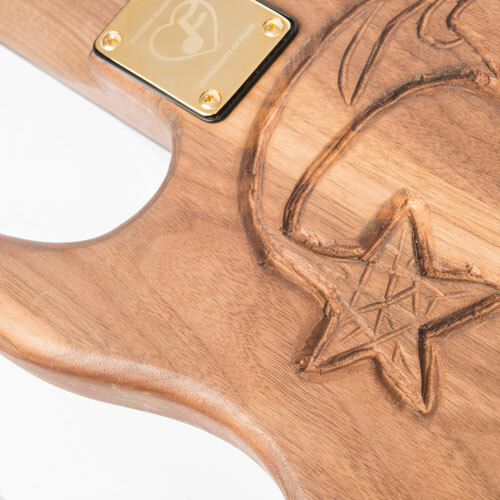 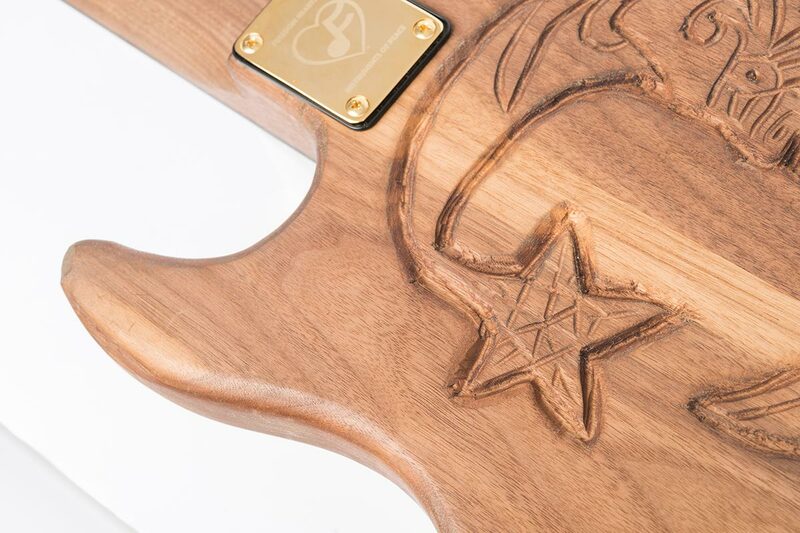 Its fretboard is made from one, single piece of the remarkable cocobolo wood, a completely unprecedented example of craftsmanship. 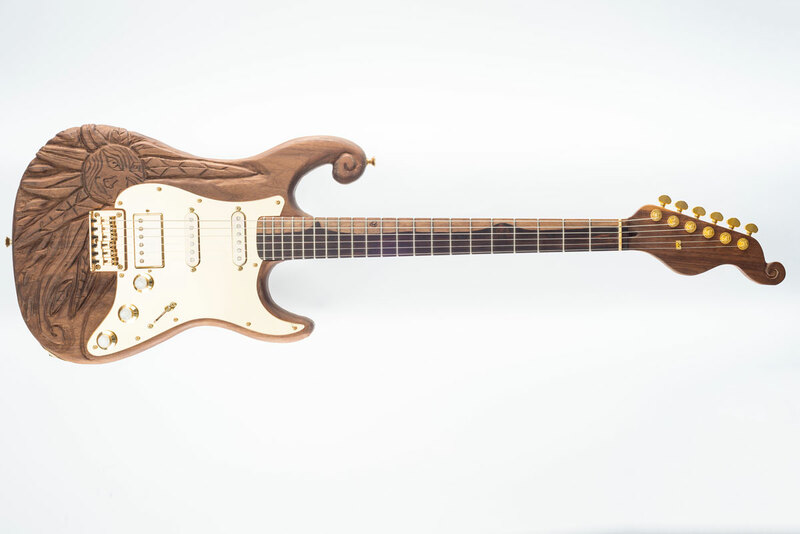 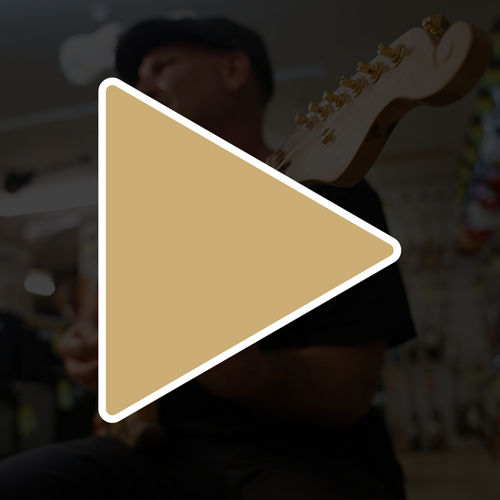 ‍Features Heartsong Instruments of Peace signature spiral carved top horn of the body.